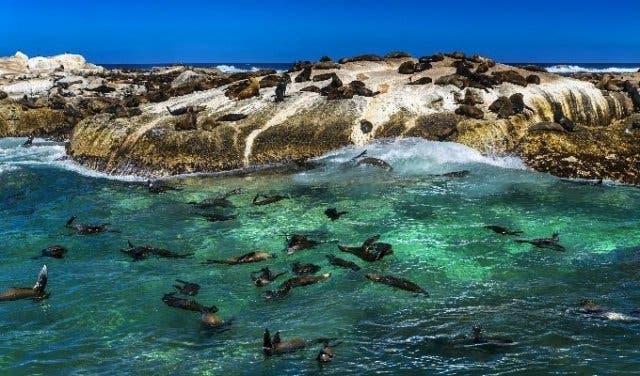 Small groups, one of Cape Town’s lesser-known cape fur seal communities, all gear included and your choice of seal snorkeling or diving adventures. It’s an amazing Cape Town bucket list item you can tick off with Ocean Experiences, who drive a range of daily adventures from the V&A Waterfront and offer a little extra in terms of service and experience. 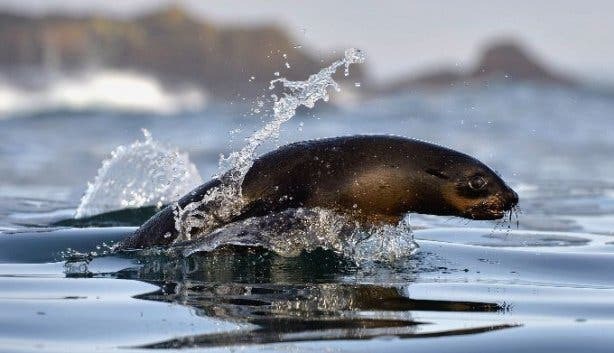 Ocean Experiences does seal adventures a little differently. 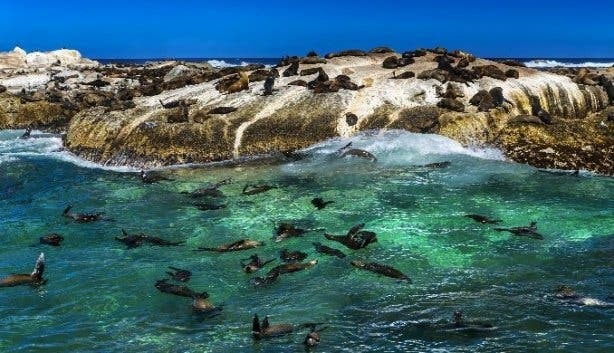 This is a popular marine activity in Cape Town and so most of the traditional spots have become a little over-commercialised – think the cramped diving at Seal Island in Hout Bay. That’s why Ocean Experiences visit the smaller, lesser-known seal community at Strawberry Rocks in front of Twelve Apostles. There are fewer boats and other divers, so you get a better, almost more intimate experience. And it doesn’t hurt that their seal dives are lead by PADI pros and they focus heavily on marine education (very thorough briefings and real insight into the species), supply bottled water and include a marine-life-search experience on their boat, too. Choose from a seal snorkeling experience to scuba diving with seals and even freediving options. Not yet qualified? No worries, Ocean Experiences also offers beginner, advanced and even divemaster PADI scuba diving courses, as well as a range of freediving experiences and courses. All seal dives start at the V&A Waterfront with equipment fitting (all gear is provided) and a boat ride out to the site. Then you hit the water, usually in the morning when the seals are more active. 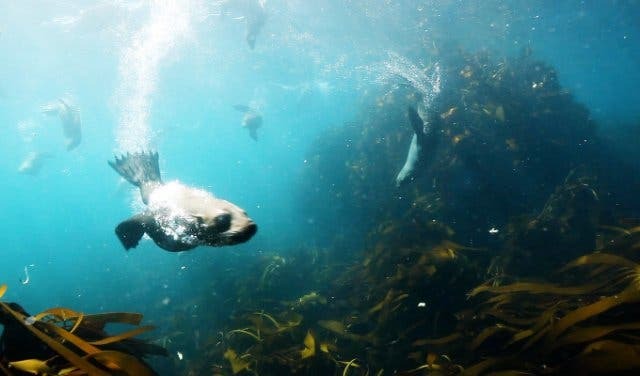 And, in the case of seal snorkeling, you just relax and float on the water, looking down at these amazing and playful marine mammals swim and dive around you. It’s a more natural seal experience. There’s no feeding or chumming, you see and interact with the seals in their natural environment. In fact, a trademark of Ocean Experiences’ seal dives is their focus on conservation and education, so it’s as rich and insightful as it’s fun. Each trip lasts around two hours and groups are limited to six divers (a maximum of two non-diving passengers allowed to come along). All equipment is provided. Phone Ocean Experiences on +27 21 418 2870 (mention CapeTownMagazine.com to qualify for certain discounts) or book your dive online. 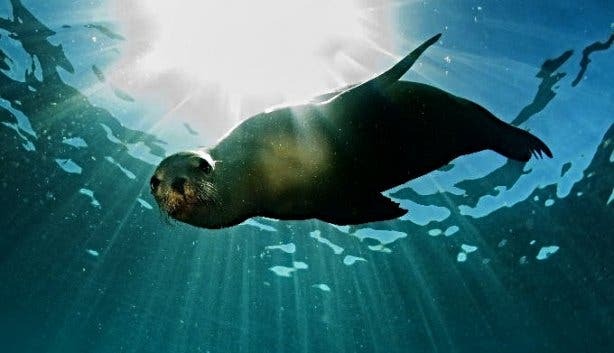 If you’re doing a scuba dive trip (not valid for courses), you can get 10% off two rib boat scuba dives with seals via this exclusive link. 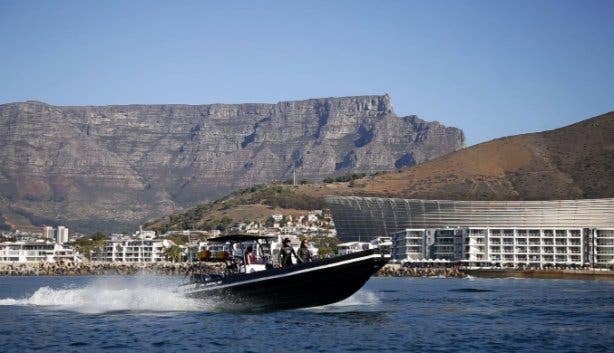 10% off rib boat dives, 10% off Ocean Safari and adventure boat rides and an epic helicopter-and-boat tour experience for less. These are all exclusive CapeTownMagazine.com specials. 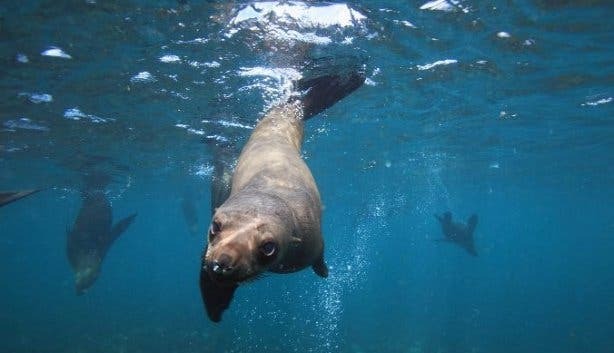 Make use of our exclusive 10% off seal snorkelling special and also pay 10% less for an Ocean Safari boat trip. 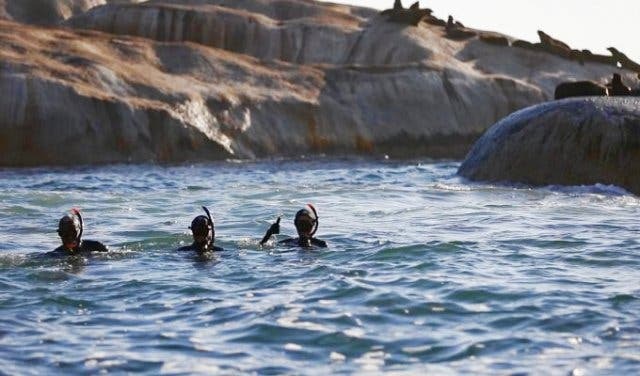 And our selection of offbeat-but-cool alternative bucket list experiences to do in Cape Town and exciting day tours you can do as well as some cool adventures to tackle with your teenagers. Plus: We’ve helped you already work out the pitch to your boss for these awesome places to have end of year and office get-together/party.